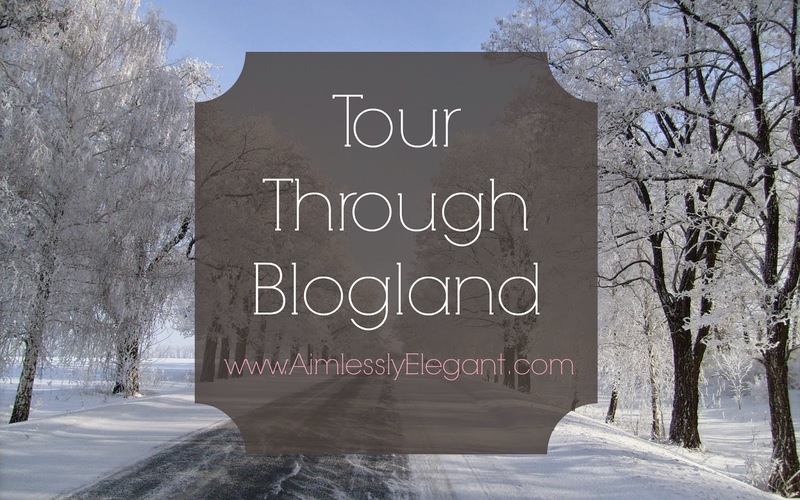 Hi everyone, today is my stop on the "Tour Through Blogland!" I don't know if you've seen it going through blogland for the last several weeks, spreading the blog love from one blog to another. It's a great way to learn a little behind the scenes about some bloggers you may already know, and also a great way to discover new, or at least new to you, blogs. I was more than excited when Leslie from The Martin Manifesto invited me to be a part of the tour. You can check her stop of the tour out here, but really you should just go check her out. I love reading Leslie's posts, and it doesn't hurt that she's super down to earth! Trying to get organized so I'm not always blogging about everything at the last minute! Every weekend I say I'm going to get a few posts done so I'm not doing them every night after work and in the morning when I get up, and that NEVER happens! I hoping that after the holidays, with some time off from work and I get a jump start on the new year and come up with a better game plan. How does my work differ from others in it's genre? Does it? I don't know?! I just write about the stuff going on in my life, from making over our home to my current favorite breakfast. I like what Leslie said, "It's different because it's mine, no two blogs are the same. . .and that's what's great about blogland." I totally agree, everyone has there own style and personality that comes across in their writing and that's what makes reading so many different blogs fun and exciting. I started this blog at the beginning of last year, mostly from the encouragement from my husband, but also because I needed something that was all mine. A place to encourage and inspire me to stick with the things that I love to do in life. Being a ballroom dancer sounds fun and glamorous (and it can be! ), but it can also be super stressful and incredibly time consuming. Having this blog makes me make time for my other passions, DIY, crafting, fashion, and all that good stuff! I always set minimum goals, if I can post at a minimum of 3 days a week, I'm happy. I have a few set things that help keep my on track like my High Five for Friday posts, and my monthly Favorites posts. I also set out to include at least one fashion post a week (obviously that hasn't happened lately!) Other then that I just tackle what's current in my life, and usually when I'm beat at the end of the day trying to keep my eyes open. I always end up spending WAY more time on graphics, or surfing the web for certain products then I intend. ALWAYS. I consider it a victory If I get my post completed before I have to absolutely crash, if it doesn't get done that night, I'm at it first thing in the morning to wrap it up and get it posted, which is what I'm doing right now!! Your next stop on the tour . 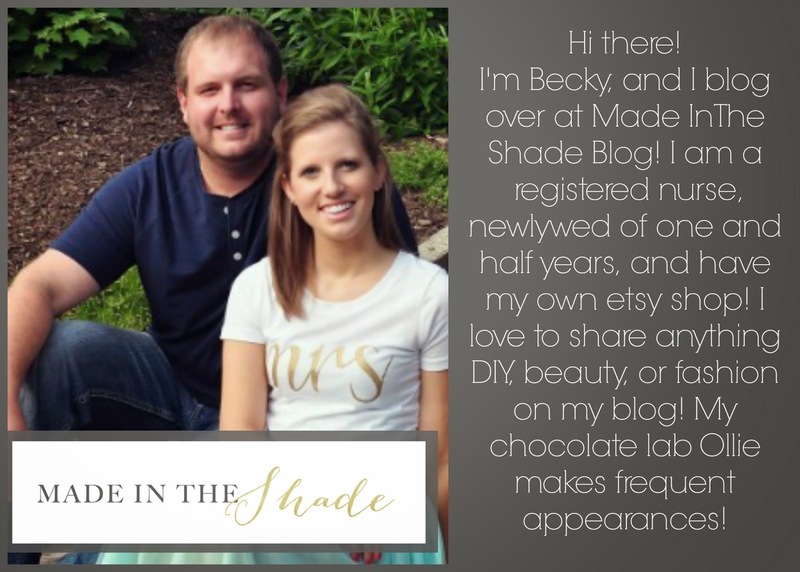 . .
Make sure to check out Becky's blog, if you haven't already! It's always great to make new blogging friends and connections, at least I know that I like it! Whether you have your own blog or not, say hello, leave a comment, because frankly we all love them! Much thanks to Leslie for featuring me on her stop of the tour, I'm super flatter that she chose me as one of the stops! Love this...and you look so pretty in that photo! Now I'm headed to check out Becky's blog! 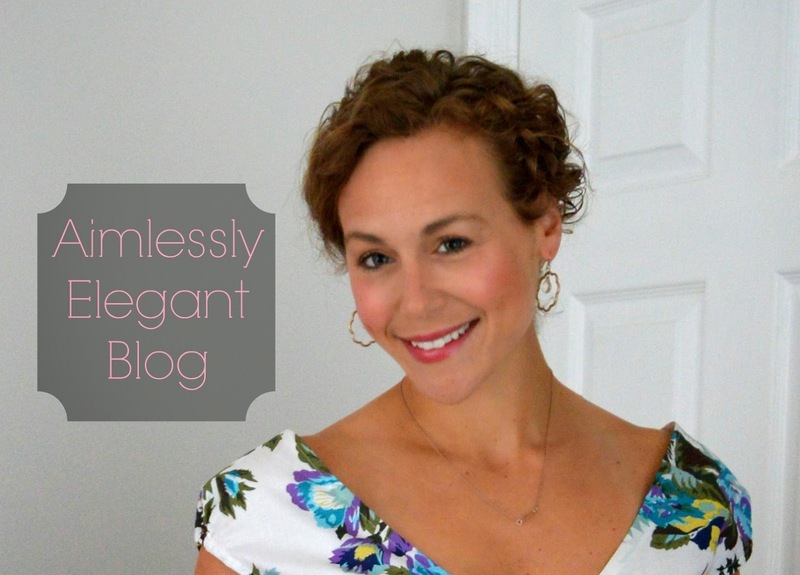 Love getting to know the heart behind your blog more! Organization is hard for me too! Girl I tell myself every weekend I am going to write posts......and I never do. Loved reading more about you!! I loved this post - it's so fun to get to know your creative process! I love the answer about what sets your blog apart. You're right! All of ours are different because it's our own, and we don't all have the same voice. It's a great way to look at it! Thanks! Sorry it took me so long to get my post up! My constant motto, better late than never! Posts like these make me realize how few photos I actually have of myself, I have to work on that! So hard! I still love your calender/blog post organizing Idea, I just need to get on it! Right?! EVERY weekend, and NEVER, I'm only hopeful for someday! I think it's so cool to see everyone's personality come across in their writing, they are all so different! Well, I'm just getting to know you. I had no idea you're a ballroom dancer!